I just love summertime when sweet, delicious, juicy peaches are in season! To make the most of the season I start with the freshest peaches I can find, which is always at my local farm or farmer's market (these peaches came to me via Turkey Creek Bee Farm, a local urban farmstead). 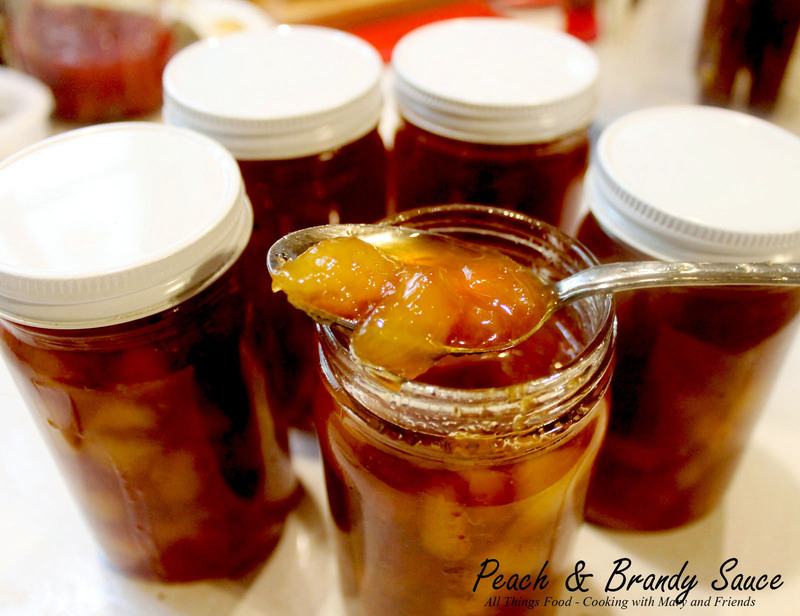 I slice 'em and can them for sliced peaches, make peach jam/preserves, or chop 'em and dice 'em for this lovely Peach & Brandy Sauce! Serve this sauce over some vanilla bean ice-cream, top on pound cake, or heat and serve basted on a pork tenderloin. It has lots of peachy taste with just a hint of the brandy ... delicious! 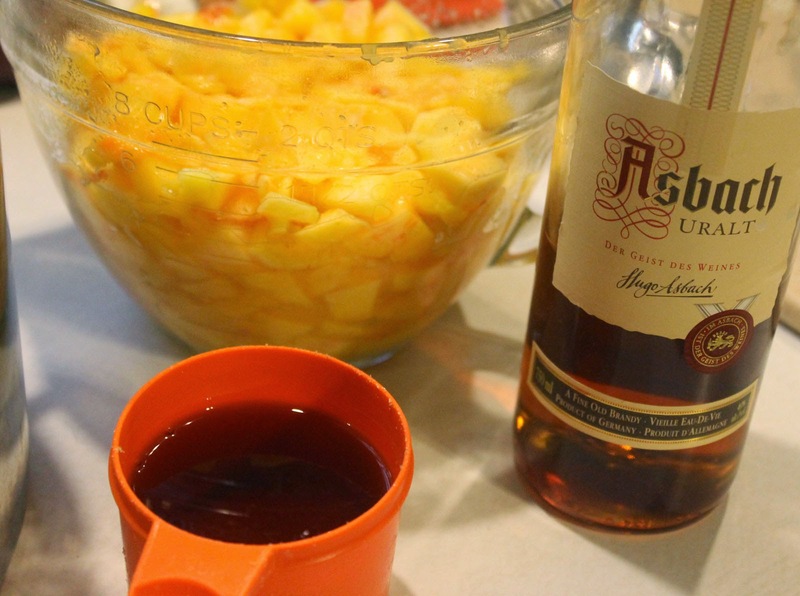 Combine peaches, brown sugar, granulated sugar, brandy, and lemon zest in a large stainless steel saucepan. 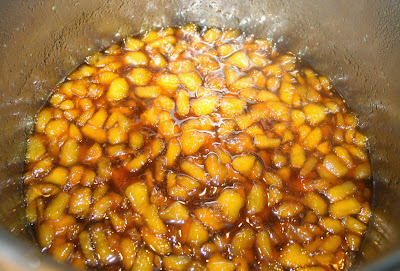 Bring to a boil over high heat, stirring constantly, until sugar dissolves. 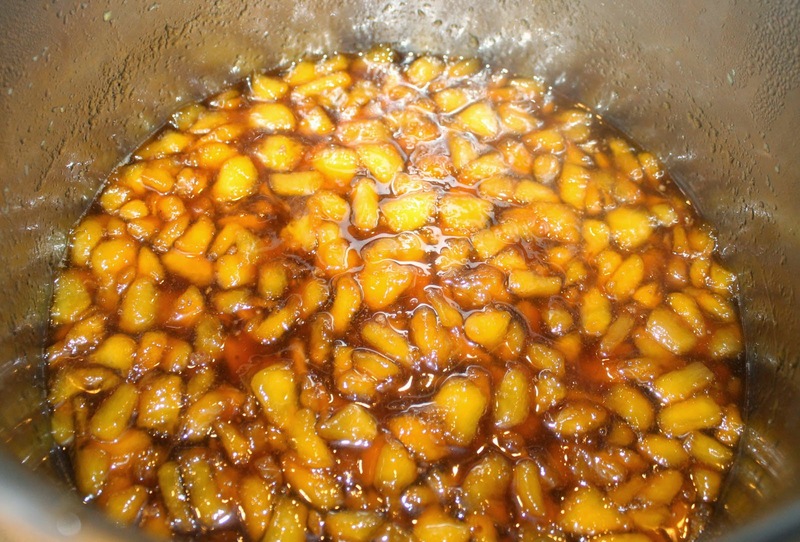 Reduce heat and boil gently, stirring occasionally, until thickened, about 20 minutes. Ladle hot sauce into hot jars leaving 1/4 inch head-space. Remove air bubbles and re-measure head-space. If needed, add more sauce to meet recommended head-space. Wipe rim. Center lid on jar. Apply band and adjust until fit is fingertip tight. Process filled jars in a boiling water bath for 10 minutes, adjusting for altitude. Remove jars and cool.